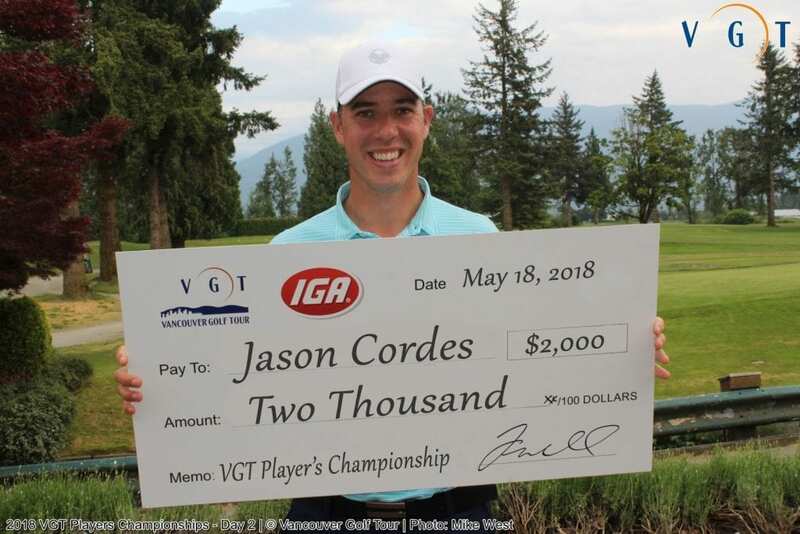 North Vancouver’s Jason Cordes rolled in a 15-foot putt for birdie on the final hole of the VGT Player’s Championship to capture his first major Professional Win against a power-packed field in VGT’s 2nd Major of 2018. 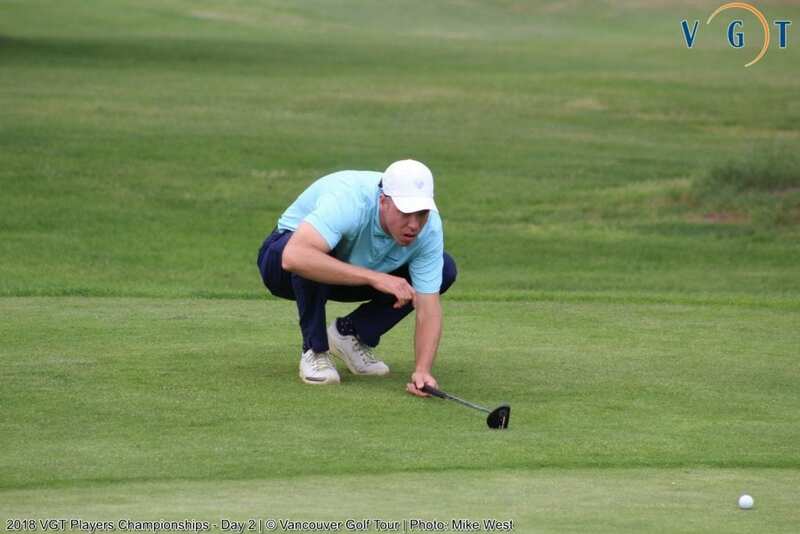 The leaderboard was bunched up after day one at Sandpiper Resort with 25 players within 5 shots of the overnight leader Kevin Vigna (Vancouver Golf Club). And through 9 holes of the final round at Chilliwack Golf Club the title could have gone any number of ways. UGC’s Oliver Tubb and Nigel Sinnott had jumped out to the lead at 6-under par, but a number of players were still within 3 shots heading into the final nine, and that’s when the fun began. First, it was Gorge Vale’s Robbie Greenwell who exploded through the turn birdying 5 straight holes (9-14) to get to -7 for the day and -5 for the tournament. He would bogey the short 15th and birdie the 16th for a final round of 65 (-7) and sit with the clubhouse lead at -5. 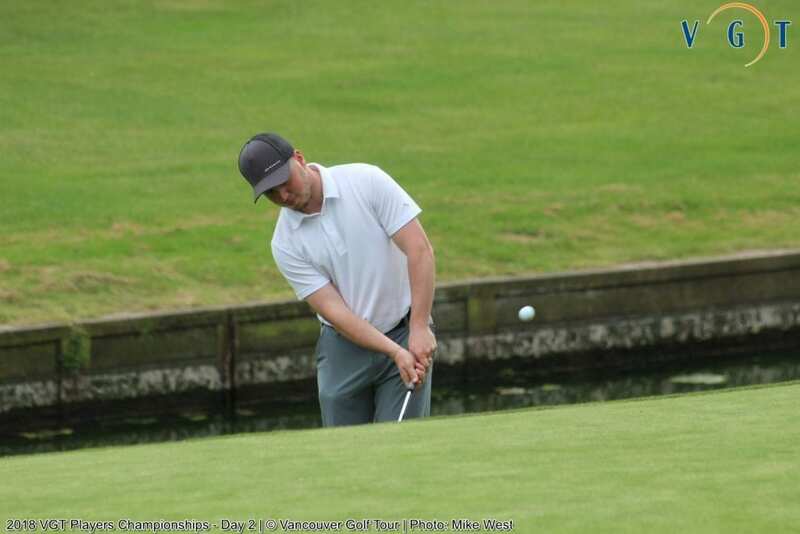 Next to make his move was Mission Classic winner Cory Renfrew (UBC), who had an uncharacteristic opening round of 73 on day one. He would make amends on day two with 7 birdies on the day and good for a closing round of 6-under 66. Renfrew’s charge would come up two shots shy of the lead and h would settle for a solo 5th place finish at -4 for the tournament. 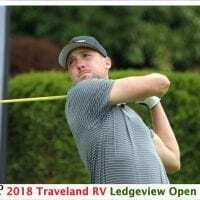 Overnight leader Kevin Vigna (Vancouver Golf Club) would continue his steady play making birdies on 6 and 9 to get to -5 and one shot back of Tubb and Sinnott thru the turn. Both he and Sinnott would stumble coming home on the back nine with Vigna firing 2-over 37 and Sinnott shooting 3-over 38. Both would finish in a tie for 7th at -3 for the event. University’s Oliver Tubb would continue to play some great golf on the opening part of the back nine, birdying 11 and 12 to reach -8 and at the time a 2-shot lead. But an untimely double-bogey 7 on the par five 13th would ultimately kill his momentum coming in. A birdie at 15 would however give Tubb an outside chance at claiming the title had it not been for 2 closing bogeys on the 17th and 18th. Tubb would finish in a tie for 5th place at -4 with Renfrew. 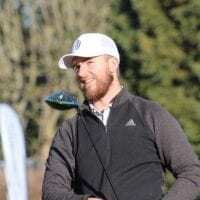 While Tubb was heading backwards on the midway point of the back nine, Meadow Gardens Pro Riley Lamb was moving forward in a positive way. After a bogey on the 3rd hole, Lamb would rattle off an eagle and five birdies through holes 4 to 13 and he would take a 2-shot lead when his birdie dropped on 13 and Tubb scored his 7 on the same hole. The closing stretch would not go so well however for Lamb, as three untimely bogeys on the 15, 16th and 18th would move him from solo clubhouse leader now into a tie for the lead at 5-under par with Greenwell and Kevin Stinson, who had made a courageous finish of his own birdying 16 and making 2 solid pars on the difficult 17 & 18. His closing round of 68 left him in a 3-way tie for 2nd, which was ultimately good enough to earn his way into the Mackenzie Tour PGA Tour Canada’s Freedom 55 Financial Open event for leading the Cleveland/Srixon VGT Order of Merit at the end of this event. This is Stinson’s 2nd straight year he has earned the exemption into the Point Grey event being top VGT Pro heading into the event! But possibly the most surprising story of the day was North Vancouver’s Jason Cordes withstanding all challengers on the back nine to seal his first Major Professional Win of note. Cordes stayed cool and calm coming home, which he needs to be credited for after 3-putting his way to double bogey on the par three 12th hole. He would bounce back with some amazing golf on the closing 6 holes, birdying the 13th and 16th to come within 1 shot of Lamb at the time. What Cordes would not know when stroked his 15-footer into the cup on 18 was that the birdie was good enough not for a spot in the playoff versus Lamb, but in fact for the Title!! When he was given the news, his reaction was priceless!! Cordes’ post-trophy interview would reveal not only the surprise in his voice that he had won, but that all the hard work he has put into his short game in Palm Springs this winter has finally paid off! Maybe it was the opportunity he was blessed to have sharing a dinner and evening out with his sponsor and legend of the game, Lee Trevino that gave him some secrets to putting down the first of hopefully many more W’S in the books!! Congratulations to Jason Cordes – our 2018 VGT Player’s Champion!! 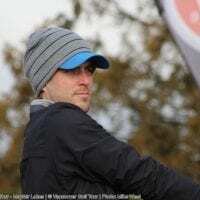 Top Amateur honors went to Guildford’s Dan Swanson, who fired rounds of 71, 70 and good enough for a 2-shot victory over Sandpiper’s Jacob Lucki and Echo Falls, Washington’s Sarah Lawrence (143). Swanson earned $350 in VGT Prize Credits for Low Amateur honors out of the 19 Championship Amateurs in the field. In our 18-Hole A & B Flight Contest, Low Gross honors went to Adam Boedecker (81) in A Flight and to Jason Angus (83) in the B Flight! 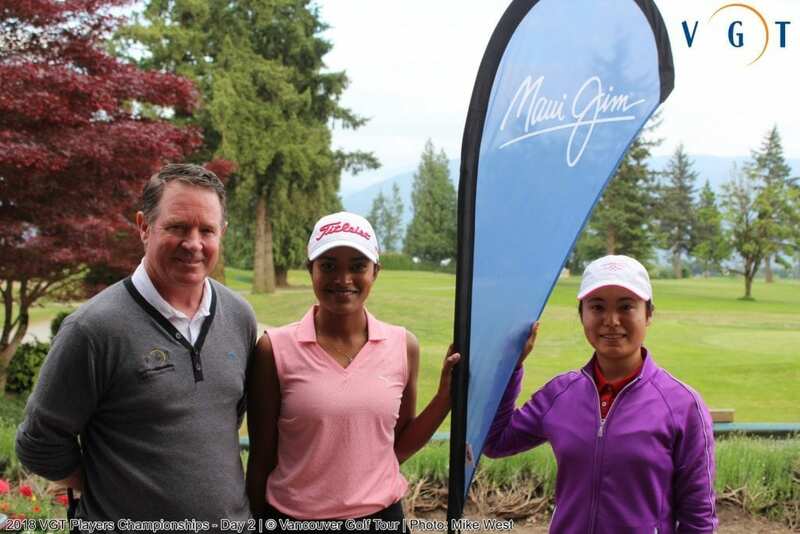 Thanks to the support and sponsorship of this inaugural Women’s Series, Maui Jim Canada presented a $250 cheque to the top Female Professional, Karishma Thiagaraj of Meadow Gardens. This was Karishma’s 2nd top finish on the Women’s Series. 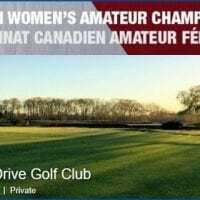 Top Female Amateur honors went to Sarah Lawrence for the 2nd straight event. Sarah earned a $200 Maui Jim Gift Voucher for top Amateur honors! Our Continued thanks must go out to both host courses of our 2018 Players Championship. 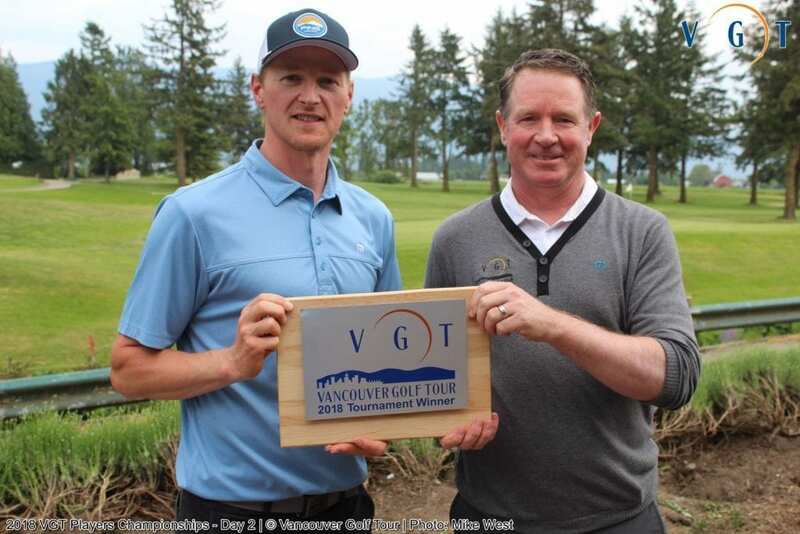 Both Sandpiper Resort and Chilliwack Golf Club are fantastic supporters of the Vancouver Golf Tour, giving our players two Championship venues for our players to learn how to play in elite tournaments. Thank-you Ted, Bryan and your team at Sandpiper and Bryan, Laura, Colin and your team at Chilliwack for welcoming the VGT and our players this week! Hats off to both your superintendent’s and crew for getting the golf courses in super conditions for our Championship!! See you both in just over a month at the First Class Waste Fraser Valley Open!! Special thanks to the VGT Team and volunteers for the countless hours that went into making this year’s Player’s Championship a huge success! !